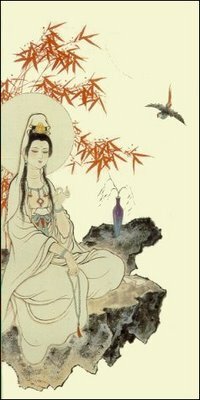 All the symbols of a classical haiku in one painting, one set of Buddhist iconography: The Water Moon Kannon. but aaaa, the clouds ! With a Discussion on the Mirror Mind. und wo bin ich ? The above picture is quoted from here.